Being injured at work is a common occurrence and can often be frightening. Several questions can pop up all at once. First and foremost, what is wrong with me and how severe are my injuries? Who is going to pay may medical bills and what if I cannot return to work for a period of time? What if I don’t like the way the company doctor is treating me? All of these questions are very important, which is why you should always consult with an Illinois workers compensation attorney who can and will protect your rights. Under the Illinois Workers Compensation Act, if an employee is injured on the job, then employer must pay all of the related medical bills and 2/3 of the employees average weekly wage for any time off of work due to the injury. Assuming the injured employee returns to work, then he or she will be owed a permanency award at the end of the case. This is a very basic outline of the benefits involved with workers compensation. There are multiple things to remember if you suffer from a work injury. Below are list of things that you should and should not do if you are injured at work. 1. Do report the injury to your supervisor/employer immediately and preferably in writing. 2. Do seek medical treatment as soon as possible. 3. Do give a detailed accident history to your treating physician describing how the work injury occurred. 4. Do have your doctor put any work restrictions in writing and forward to your employer. 5. Do keep your employer updated on your medical treatment and let him or her know if you have been released from treatment or sent back to work. 6. Do not disobey your doctor’s orders concerning treatment, restrictions or return to work. 7. Do not miss any doctor’s appointment or therapy sessions. If you or someone you love has been involved in an Illinois work accident or has an Illinois workers compensation case, please have them call Chicago work comp attorney, Aaron J. Bryant, at 312-614-1076. I provide free legal consultations and can answer any questions. The Illinois Workers Compensation Act has been developed and refined through the years. The basic premise remains the same: the laws were enacted to protect workers who are injured on the job. If you are injured on the job in Illinois, employers are required to provide you with medical treatment and to pay you for any time you miss from work, which is called Temporary Total Disability (or TTD). At the end of the case you are also owed a lump sum award or settlement amount for Permanent Partial Disability (or PPD). There are also awards and/or settlement amounts for those workers who are no longer able to work (permanent total disability) or are unable work their previous job and thus earning less (wage differential). 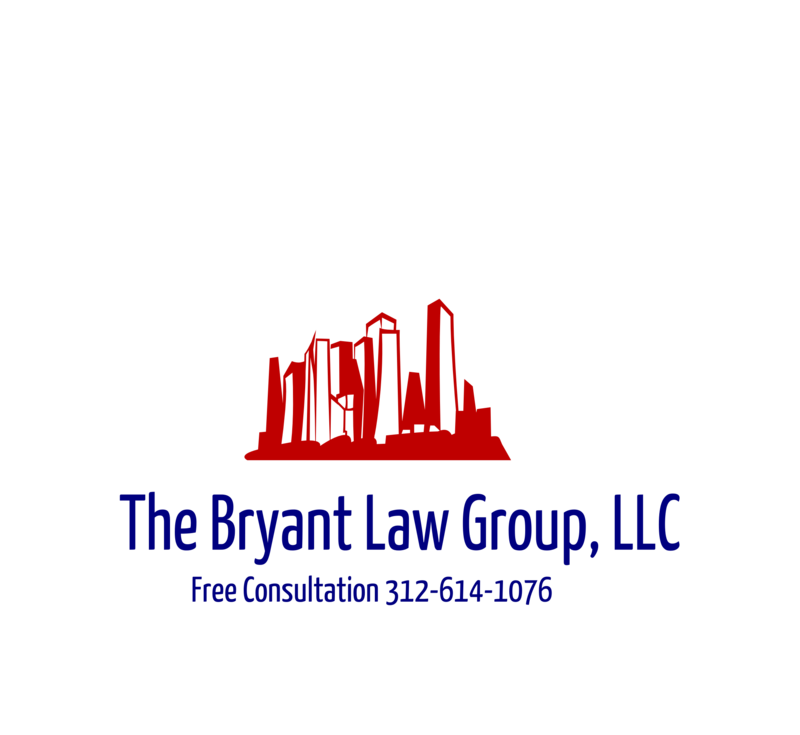 If you or someone you love has been injured on the job and believes they have an Illinois workers compensation case, then call Chicago workers compensation attorney Aaron Bryant for a free consultation at 312-588-3384 or go to the firm website at www.blgchicago.com. Illinois Workers Compensation reform was a major issue during this year’s Spring legislative session. As of the Sunday before the final day, the bill appeared to have failed, resulting in no changes. But alas, Illinois House legislators worked hard to pass the bill and move forward to Governor Quinn for his signature. The Chicago Sun times provided an excellent description of how the bill was passed, which can be read here. As an Illinois Workers Compensation attorney that represents Petitioner employees, I first have to ask whether the changes stripped away any rights and protections for Illinois workers. The short answer is yes. Below are the major changes and how they will affect Illinois workers. My thoughts are in italics. The changes to this section of the Act involve wage differential claims. The previous law stated that when an employee returns to work with a lower average weekly wage than the wage held prior to being injured, the worker would be entitled to receive 2/3 of the difference between the two wages every week for the rest of his or her life. The new law states that wage differential claims that occur after September 1, 2011 shall be effective only until the employee reaches the age of 67 or five years from the date the award becomes final, whichever is later. The new law definitely strips the award potential for Illinois workers, but, in my opinion, this is a not a major blow the rights of Illinois workers. The law still allows for the same award, but it is limited basically to a worker’s retirement age. I would have preferred not to see this change, but it is not a drastic change. The new law makes specific changes to hand injuries involving carpal tunnel syndrome due to repetitive or cumulative trauma. The new law states that the value of the hand be returned to their pre-2005 scheduled amount of 190 weeks, and places a disability limit of 15% loss of use of the hand in such cases, unless clear and convincing evidence can show an award should exceed this amount. In such cases the award should not exceed 30% loss of use of the hand. Apparently lawmaker and the insurance company lobbyists believed there was excessive fraud when it came to carpal tunnel syndrome cases. I could not disagree with this change more, but, it must be remembered, that the new law does not eliminate carpal tunnel or repetitive trauma claims, it merely limits them to 15% of the hand and decreases the number of weeks a hand is worth down to 190. The interesting question here is what will qualify as clear and convincing evidence when determining whether and injured hand is worth more than 15%. I would imagine that there is clear and convincing evidence when more than one surgery is performed on the hand and the medical testimony clearly connects all treatment to the work injury. If this is the case, I have to believe that the arbitrators will find that the injury is worth more than 15%. This is one area of the new law to keep a close eye on. The new law contains medical fee schedule modifications. The new law states that if a fee schedule amount is in place, effective September 1, 2011, the charge shall be no more than 70% of the fee scheduled amount. If a fee schedule amount cannot be determined, the default reimbursement shall remain at 76% until September 1, 2011 at which time a 53.2% reimbursement rate shall apply. Above is just a very brief synopsis, but this is probably the biggest amount of reform in the Act. It basically means that the treating doctors will receive less money pursuant to the new fee schedules. On its’ face, this change does not directly affect Illinois workers or take away any of their rights. Although, one could argue that, due to the lower fee schedules, fewer doctors will be taking workers compensation patients because they do not want to take lower fees. This could possibly lead to a smaller pool of doctors to choose from an ultimately impact the type and/or quality of treatment workers receive . It is too early to tell at this point whether this will affect quality of treatment but it is something to follow. There were many other changes to the Act, but these are the main ones I wanted to point out and discuss. I am not pleased with any changes that strip away workers compensation rights for my clients, but, all in all, it could have been worse, and sometimes you have to compromise with the other side of the aisle. If you or someone you love has been involved in an Illinois work accident or needs help on their Illinois workers compensation claim, then call Chicago workers comp attorney, Aaron Bryant, for a free consultation at 312-588-3384. Last week a major victory occurred for the rights of Illinois workers. The Illinois legislature decided not to call a bill that would have dramatically stripped the Workers Compensation rights of Illinois workers . This proposed legislation limits the injured worker’s right to choose a doctor by automatically sending them to the company doctor of choice. The “company doctor” has the financial incentive to get the employee back to work as soon as possible, instead of as safely as possible; this means that necessary tests may not get ordered, procedures may not be preformed, and specialist visits may be limited. UR creates presumption in favor of UR which will be almost impossible to overcome. It takes away treating doctors discretion to determine the best treatment for an injured worker. This is a one-size-fits-all solution to an issue that demands individualized attention and treatment. Significant caps (67 years of age or 5 years) and reviewable for economic change 4 times per year. Wage differential is designed to preserve the earning power of an employee injured at work by partially making up the difference in the lost wages after the injury. These workers no longer have the ability or opportunity to earn the wage they once did. Wage beneficial benefits help make up some of the difference of lost wages due to a workplace injury. This legislation reduces the medical fee schedule for procedures and services rendered by doctors and hospitals. This reduction will result in fewer doctors wanting to treat patients on worker’s compensation. Fortunately this bill was never called for a vote by the Illinois Speaker of the House at the end of the legislative session. The above proposals would have chipped away the two (2) most important worker protections: proper medical treatment and compensation to make the injured worker whole. The Illinois Workers Compensation Act was designed a long time ago to protect injured workers and it is our duty as Illinois residents to continue to protect these rights.